The University of Texas Odyssey Free Lecture Series welcomes “Real Stories of the NFL” on Monday, June 13, in Austin, Texas, at the Thompson Conference Center. 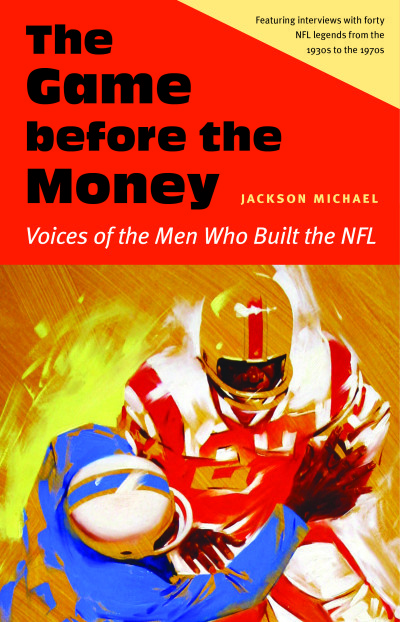 The Game before the Money: Voices of the Men Who Built the NFL author Jackson Michael will moderate the event. Two former NFL players have been announced as panelists, both football legends on the University of Texas campus. The night promises to entertain and enlighten attendees, providing a unique look at what NFL life is truly like. Admission is free. Reserve your spot for this wonderful evening here. Dan Neil played eight seasons with the Denver Broncos, winning two Super Bowls. Dan also starred for the University of Texas, earning consensus All-American honors. The Longhorns upset Nebraska in the first ever Big 12 Championship Game during his senior season. Dan enjoys spinning yarns about the teammate he was paid to protect from his offensive line position, John Elway. Doug English played defensive tackle for 10 seasons with the Detroit Lions as part of the famed “Silver Rush” defense. Doug earned All-Pro honors in 1982, and stands tied for the NFL career safties record. Doug played college ball for the Longhorns under legendary coach Darrell Royal, and is a member of the College Football Hall of Fame. Today, he heads up the Lone Star Paralysis Foundation. Doug’s sure to share a fun story or two about college teammate Earl Campbell. NOTE: The Game before the Money: Voices of the NFL features interviews with 40 NFL legends who played between the 1930s – 1970s. An exceptional Father’s Day gift!